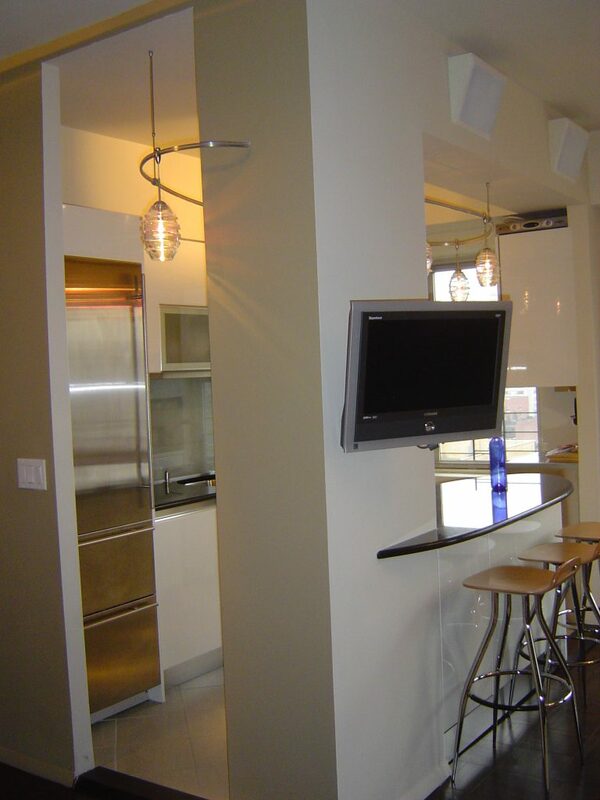 Clean lines and geometry define this Upper East Side kitchen. 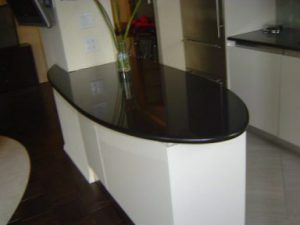 Organic shapes, a black onyx elliptical-shaped island counter top, glass vitrines, and stark white and stainless steel counterbalance distinctively warm bold colors. 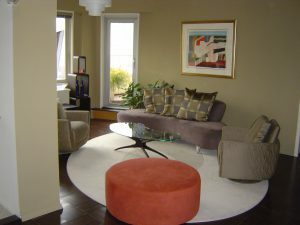 Beech wood bar stools surround the island. 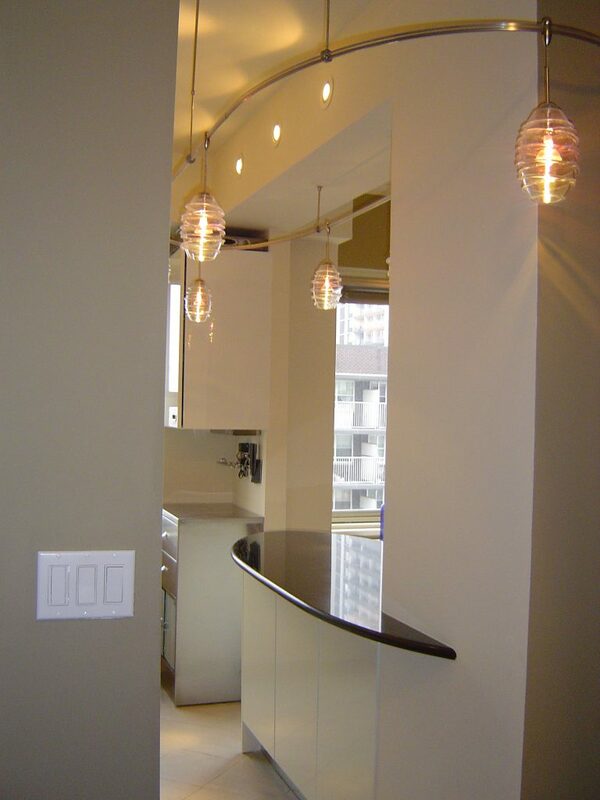 Built-in halogen lighting look like portals on the kitchen side upper column above the island creating a warm contrast to the minimalist modern style of this stark white European kitchen, while built-in sound speakers face the outside upper column of the kitchen. 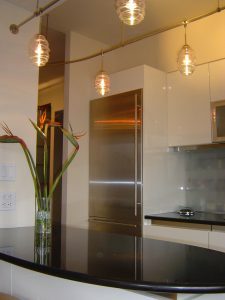 Five crystal monorail light fixtures adorn the modern TV column, and a 36″ Sub Zero refrigerator highlight the space. 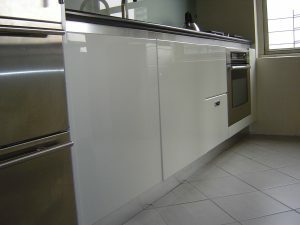 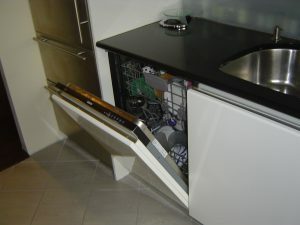 There is a Viking dishwasher concealed behind a white cabinet door next to the refrigerator. 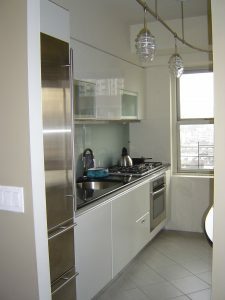 A custom sliding frosted glass backsplash provide a space unseen for assorted spice bottles and apothecary. 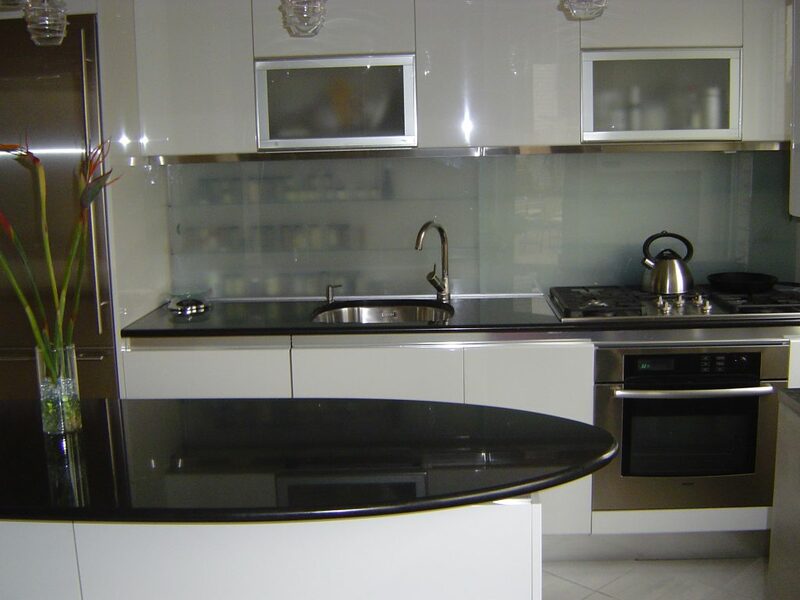 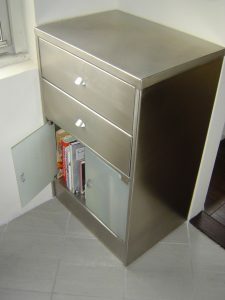 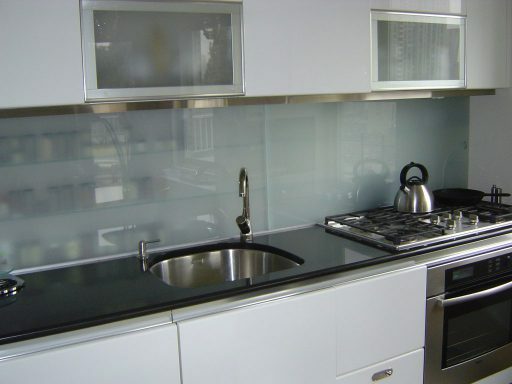 An all-custom brushed stainless steel storage cabinet completes the kitchen near the window.